Last edited by lynn; 03-25-2019 at 11:30 PM. Just don't drag my country into it. This is a bad thing to say, but the people here could not care-a-less about your country's problems. We think you are all so fucked up by your own in-fighting, the words civil war are frequently discussed here when the topic of America comes up. Just please keep it South of the 49th. As to the typing, would have to investigate more. SLE does not stand out as first choice imo. Which country are you from out of curiosity? Really? lol, I'm not even going to tell you if you can't figure that out. What Country is found North of the 49th parallel? I'll give you some time to work it out. I already was presuming Canada, no need to be rude my bro. Just never heard of "The 49" before and wanted to make sure. Can't keep up, not my dual. no worries its all good. With the sound off, she reminds me reasonably well of a good female friend of mine whom I type SLE-Se. Not as smooth. Said friend (and other SLE close ones) would probably be opposed to clothes in weird colors and patterns. Deltas would not. This man seems EIE, from what i can tell. What do you think? Last edited by para; 03-27-2019 at 10:37 PM. I disagree. He appears to be a Pi-Je combo. Without the sexual aspect there is no Sexual instinct. Is there a Social instinct without the social aspect? Is there a Self Preservation instinct without the self preservation aspect? If your answer to these questions is no, then the same goes for the Sexual instinct. If your answer is yes, then I am very delighted to read how you would rationalize that! Any specific type suggestions? I was also considering SLI. After just watching I Am Paul Walker, he is probably a EIE. Thank you, Sol. Do you see more logic or ethic? Do you see more logic or ethic? I'm seeing a Fe base type, but this chick is very robotic-like. Alright so people want to see what I think is a strong EIE-Fe type, so here you go. I've been hesitating to post this woman's story because I don't want to diminish what her testament says about her experience, but I found these longer videos particularly show in nice example very palpable and strong Fe. Her emotions are genuinely linked to her experiences as she recalls her story in great detail. She pulls from within and produces a strong Fe effect. I think over all you are seeing some Fe+Ni, lots of key words in there as well "vision" ect. I think you also get a look into some of the strengths and weaknesses of this sociotype through her own words. She says she was aware of what was happening and is able to break it down into parts and pieces (Ni) and says that she had an advantage over others there with the effects (again strong Ni). You can see extroversion in her story as well and the way she describes people reacting to her in literal sense (Fe). Watch the videos, or don't but don't comment unless you watch some of it. You can take this as my reference point for EIEs as this is how I see healthy balanced ones with good upbringing and little psychological trauma. Nice to see sometimes. She apparently has some mild autism going, saying she's had trouble recognizing facial expressions by the end of this video. Sort of interesting how people can put on such a performance without really feeling others. gmm I'd actually consider this girl to be an SEE and on the Fi/Te spectrum generally speaking. She's like the exact replica of my new SEE hair stylist, whom I admit I picked on basis of a promise of her being an SEE and visiting her yesterday just confirmed her type. This girl does have something in common with the woman above (and my new stylist) in that they share the same enneagram type: 9w8. Still, strong Fe here. I got a blast of what she wanted me to feel, especially around the 20 min mark of second video. Some low Ti moments as well when she tries to explain using Computer analogies and ends up tongue tied. I also see something Aristocratic quadra about her, as in the archetype has evolved past Alpha, yet still remains in a Merry group. "put on a performance without really feeling others"... sooo Fe. That's how I see ESE for the most part. Totally transparent. ; Fe - "I choose my behaviours authentically" - he did this the entire lecture on purpose. "Perform like you are listening" "act like anything else, but indifferent" interesting a focus on the conflict scenario with conflictor. ; energy manifestation. Building energy up and activating the environment with it. Purposeful in this guys case. I should say consciously purposeful. A take on LSI by Eleanor Berdutina, a popular Russian coacher, HR consultant, socionic enthusiast and researcher, influenced by Aušra Augustinavičiūtė and Gregory Reinin. Last edited by miss BabyDoll; 04-12-2019 at 10:03 PM. Sort of interesting how people can put on such a performance without really feeling others. Isabella I of Castille and Ferdinand II of Aragon, catholic monarchs responsible for unification of Spain in hindsight and also leading figures of Reconquista, her LSI and him EIE. "John II was careful about Ferdinand’s education and took personal charge of it, making sure that Ferdinand learned as much as possible from experience. He also provided him with teachers who taught him humanistic attitudes and wrote him treatises on the art of government. Ferdinand had no apparent bent for formal studies, but he was a patron of the arts and a devotee of vocal and instrumental music. Ferdinand had an imposing personality but was never very genial. From his father he acquired sagacity, integrity, courage, and a calculated reserve; from his mother, an impulsive emotionality, which he generally repressed. Under the responsibility of kingship he had to conceal his stronger passions and adopt a cold, impenetrable mask .Many considered Ferdinand the saviour of his kingdoms, a bringer of unity. Others despised him for having oppressed them. Machiavelli attributed to him the objectionable qualities of the Renaissance prince." Hernando de Pulgar: "She was very inclined to justice, so much so that she was reputed to follow more the path of rigor than that of mercy, and did so to remedy the great corruption of crimes that she found in the kingdom when she succeeded to the throne." Lucio Marineo Siculo: "[The royal knight Alvaro Yáñez de Lugo] was condemned to be beheaded, although he offered forty thousand ducados for the war against the Moors to the court so that these monies spare his life. This matter was discussed with the queen, and there were some who told her to pardon him, since these funds for the war were better than the death of that man, and her highness should take them. But the queen, preferring justice to cash, very prudently refused them; and although she could have confiscated all his goods, which were many, she did not take any of them to avoid any note of greed, or that it be thought that she had not wished to pardon him in order to have his goods; instead, she gave them all to the children of the aforesaid knight." Ferdinand, in his testament, declared that "she was exemplary in all acts of virtue and of fear of God." "Maxim and Hamlet – a dyad of WARRIORS of the hierarchical social system that they themselves strive to build, cohesively and effectively, and likewise themselves fill it with sophisticated high-quality spiritual and intellectual content, themselves protect and develop it, advocate and defend its existence and well-being within the environment that surrounds this system. They expand it, strengthen and improve its stability and durability, protect it against the attacks of its "external and internal enemies", and pass it on from hand to hand to most reliable and prepared for the succession representatives – the best of future generations – as the most precious treasure, the most valued sacred relic." Last edited by miss BabyDoll; 04-14-2019 at 07:33 PM. Katherina (Kate) Minola (EIE) – the "shrew" of the title and Petruchio (LSI), protagonists of the Shakespeare's Taming of the Shrew. Katherina - charming, verbose, intelligent, hot-tempered, and shrewish. Katherina's a girl who's just as capable of giving what she gets: just as the men around her objectify her, she insults and degrades them. However, her wit and anger scare both suitors and society, leading them to try to “fix” her. But while Katherina may be fundamentally unhappy, she’s unwilling to compromise her personality for the sake of others. Yet her angry, often violent, methods of expressing her frustrations do little to change anyone's mind. Petruchio - selfish and cunning, but completely honest about it. Petruchio is materialistic, snobbish, collected and domineering. central theme of the comedy is psychological interplay between Kate and Petruchio, more specifically, subordination and "educational therapy" often adopted by "declatim" LSI in the process of dualization with an EIE. The motif of such domestication is broadcasted in the play’s title by the word “taming.” A great part of the action consists of Petruchio’s attempts to cure Katherine of her antisocial hostility. Katherine is thus frequently referred to as a wild animal that must be domesticated. Petruchio considers himself, and the other men consider him, to be a tamer who must train his wife, and most of the men secretly suspect at first that her wild nature will prove too much for him. After the wedding, Petruchio and Katherine’s relationship becomes increasingly defined by the rhetoric of domestication. Petruchio speaks of training her like a “falcon” and plans to “kill a wife with kindness.” Hortensio even conceives of Petruchio’s house as a place where other men may learn how to domesticate women, calling it a “taming-school. the play portrays dispensation of the "dark energy" frequently present in characters of the EIE sociotype. "Not waiting for permission from the outside, Hamlet allows himself to "take his emotions for a walk", as dogs who have been sitting on a chain far too long, and releases them on whoever happened to be at hand. For this he provokes a scandal, using any opportunity to "pose the question or issue point-blank". And it's not that there are many "questions" and "issues", but that there is a lot of "dark energy" ("condensed emotions") that have accumulated, which are necessary to express somehow, to spill out somewhere, to discharge, because "burning them through" by oneself is all very difficult. It's not pleasant to see how unrealized emotions – their value, unrealized strength, hope, energy, and aspirations – burn pointlessly, as "dry foliage". Thus the EIE "lights up" as if on gunpowder whenever he is not allowed (for whichever reasons) to successfully and creatively to realize his emotional and energy potential." to close the psychological distance and to break the vicious condensation of this destructive energy, a static declatim LSI, applies the rigorous "carrot and stick" method, the aforementioned educational "therapy" with much success rendering her balanced and transformed at the end of the play. Katherina is still powerful and sharp but grounded and relieved of negative emotions at the end of the play, left in a state out of which, a true "mentor" can emerge to surface. Last edited by miss BabyDoll; 04-16-2019 at 11:32 AM. East coast rapper Christopher “Biggie Smalls” Wallace was shot and killed at an event in L.A. Even though he was in jail, Knight was a major suspect, with avenging Shakur’s death seen as an alleged motive. Five men broke into musician Akon’s producer’s home, reportedly claiming he owed Knight money, and stealing $170,000 worth of jewels, stereo gear, and a 130-pound safe. Rumors swirled that it was retaliation from Knight’s being on the receiving end of a pummeling back in February at a basketball event at the behest of Akon. This is one typing of a rapper you've typed SLE that I could understand especially since originally typing him SLE, unfortunately when I had typed him SLE it was a misunderstanding of Se ego. Watching videos of him I think he's Si/Ne valuing. 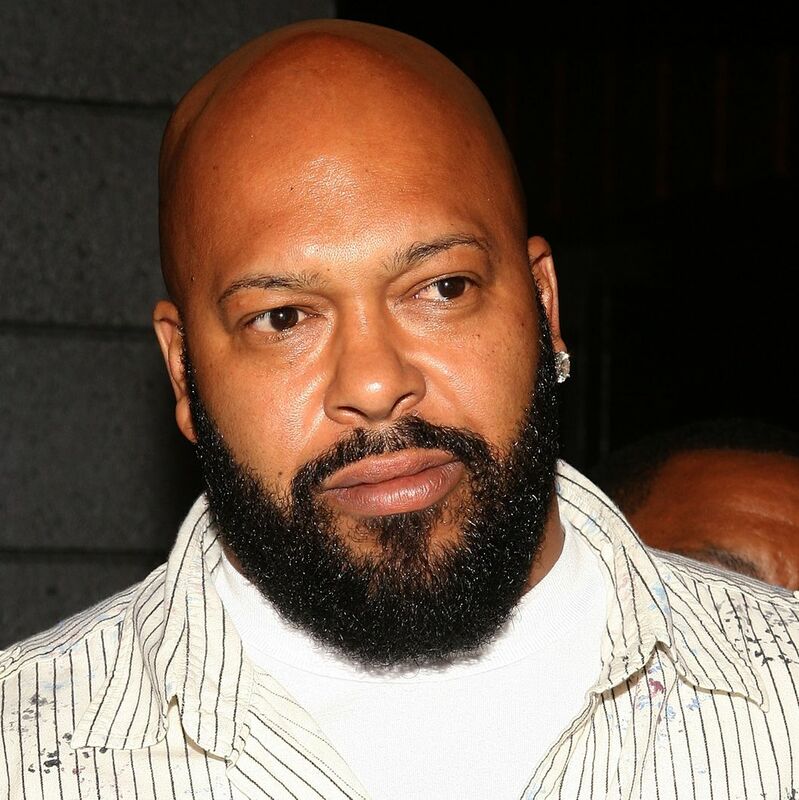 Suge comes across as an unhealthy Si-SEI 8w9, same enneagram as Eazy E and Dr Dre? While I don't listen to rap, the rugged, hard-knocked, "street boy" persona a lot of rappers adopt seems like the stereotypical form of Se cognition. Though perhaps this is an image and rappers themselves don't manifest SLE irl. We'd need more information to be certain that it isn't a ruse or that it doesn't better correlate to some other psychometric system. So, I really don't know for sure, but I can understand the typing of rappers as SLE. MBTI-wise, a lot of rappers have been typed as ESTP and a fair few ESTPs type as SLE. That being said, strong intuition would probably help with lyric generation, so I would expect a fair number of intuitive rappers. There are probably other effects to consider when predicting rap success, though. This is just a basic start. SLE Joe tries to Ni pin down ILE Adam with a single idea. Adam tries to escape with Ne and implying the answer to Joe's pinning questions is "It depends." making room for exceptions and variety.